I also love getting floral-ish centerpieces for my home…and you can too. 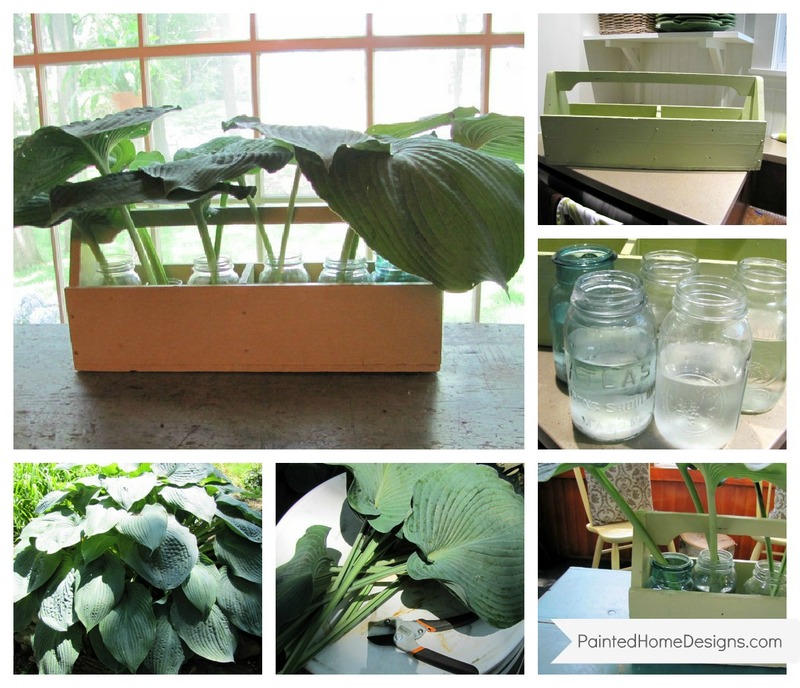 I love simple greenery, especially big hosta leaves. Very pretty! Thanks for introducing me to Pic Monkey Collage, I can't wait to try it out! Your hosta leaves centerpiece looks great!